Want to help New Orleans residents save money and reduce CO2 emissions? 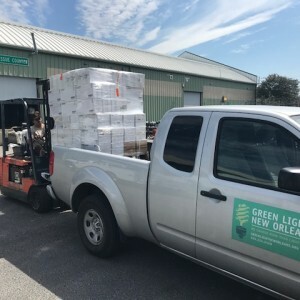 Yesterday we picked up thousands of energy-efficient light bulbs from one of the storage facilities Jefferson Parish kindly lets us utilize. 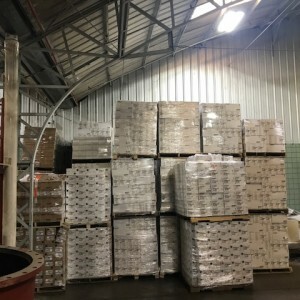 Did you know that once our current stock of light bulbs are installed, they will save New Orleans-area residents about $9 million in energy costs? This would not be possible without our many community partners, including Allianz, LEDVANCE, City of Kenner, SYLVANIA and Jefferson Parish for your help in making this possible. 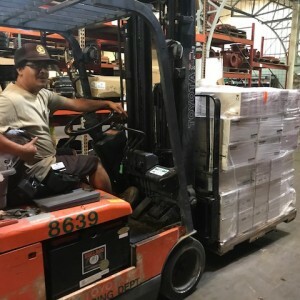 If you’re interested in learning more about Green Light New Orleans and how you can get FREE light bulbs, fill out an application for the program. If you’d like to volunteer with Green Light New Orleans we’d love to hear from you here! By the way, our light bulbs are available for installation in Jefferson Parish and Kenner. Thanks to our friends in Jefferson Parish for your help with our bulbs! We’re ready to brighten your day with free energy-efficient light bulbs. Volunteering with Green Light New Orleans is a great way to help residents save money on their electricity bills and reduce their carbon footprint.